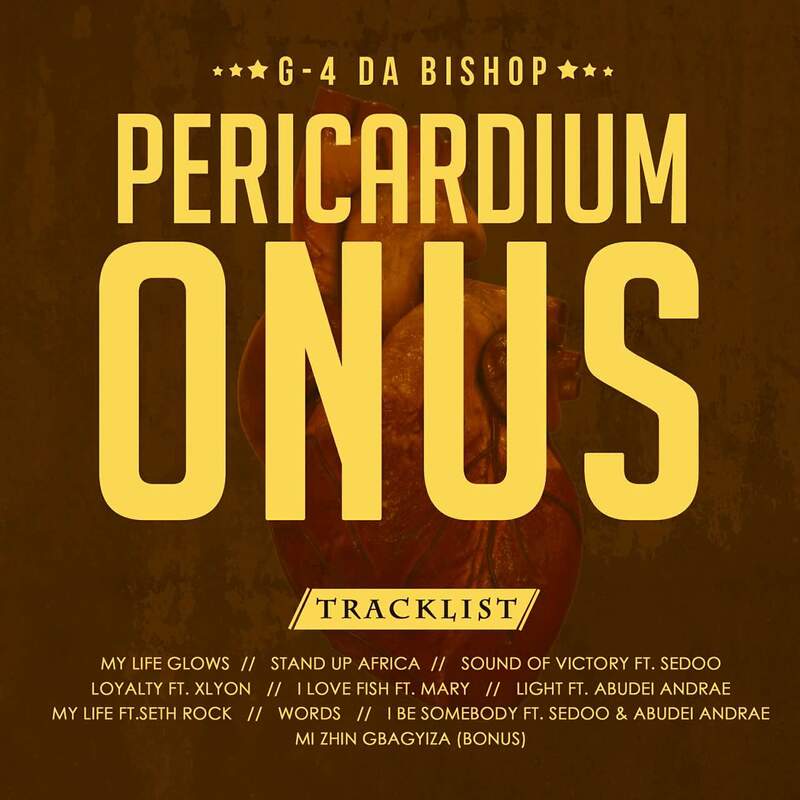 PERICARDIUM ONUS, an extended play album of new music by the International music band-G4 Da Bishop. The project features 7 new tracks and 3 smashed single. PERICARDIUM ONUS is coalatedly produced, mastered,mixed by various big guns. 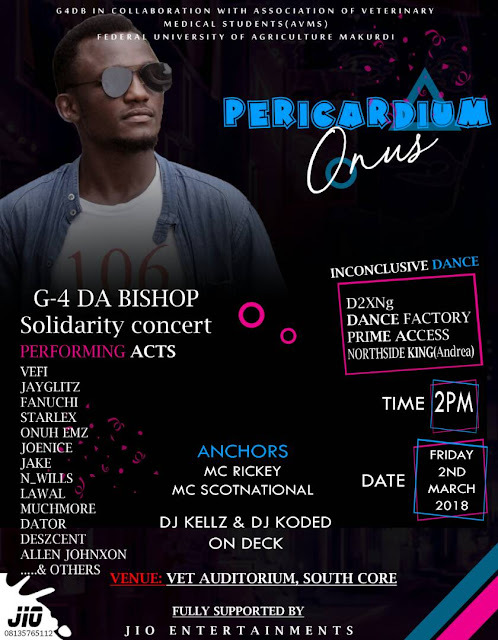 Exclusive producer , Danny E. B with other affiliates not mentioned. The title of the new album was given following months of critical and solemn deep brainstorming. The name covers a wide range of societal activities and this is true for the project. PERICARDIUM ONUS is a long awaited collection of G -4 Da Bishop musics that will thrill both young, middle age and as well attract the older generation.